Usually only cold blooded animals such as snakes can see infrared. 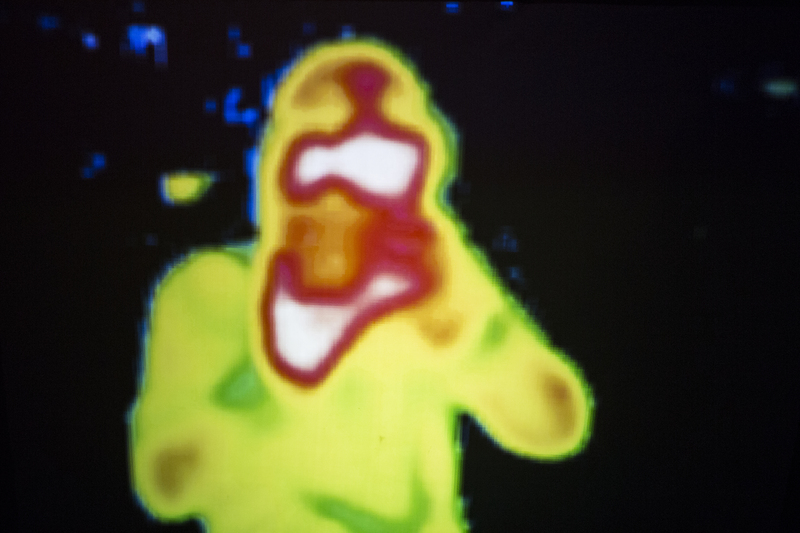 John Bell used modern infrared technologies to visualize heat-signatures in a life size ghost appearance, that turn out to be a reproduction of the visitor. Visitors are captured by an infrared camera, the produced images are directly projected in front of the visitors. 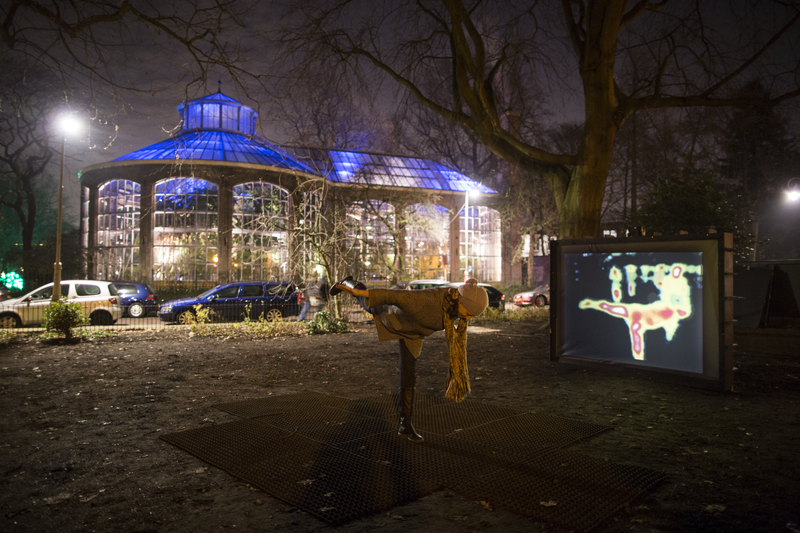 The measurement of this thermic energy is called enthalpy, thus the name of this interactive artwork. John Bell is specialized in architecture, art and interactive design. He taught at the Architectural Association, was academic advisor at the Diploma School and he leads the Master of Architecture course at the Canterbury School of Architecture. Bell is also the founder of FXV Interactive Culture Lab. Here he is mainly working on research for potential new technologies in his field.